There are very few grocery stores that don’t have a hot bar or ready-made food section these days. In fact, some grocery stores have even added “grocerants”, where they offer restaurant-quality food in a part grocery store, part restaurant setting. According to a recent consumer survey, more than half of the respondents said they had purchased food at the fresh prepared-food counter of the grocery store before, with prepared foods becoming a $29 billion-a-year business—growing twice as fast as overall grocery store sales. As busy consumers look for more on-the-go options, they’ve increased their demand and reliance on these fresh, convenient ready-made foods. As they become more popular, however, it’s crucial that convenience doesn’t drastically outweigh healthiness, with consumers seeking meals that are more nutritious than traditional takeout or dinners from the freezer section, and with more customized choices. 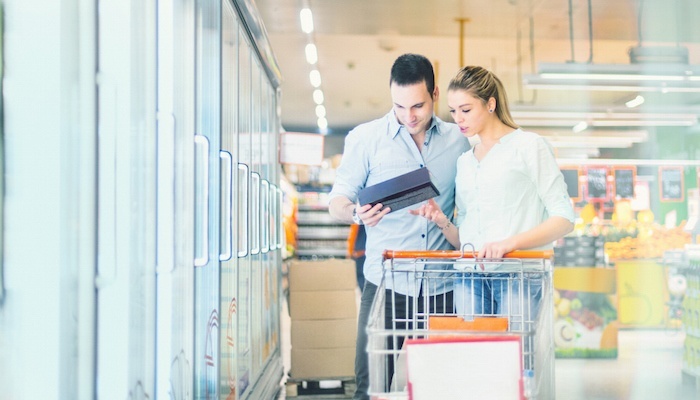 While many consumers are looking for healthy and convenient food choices that fit their grab-and-go lifestyles, creating a shelf-stable, ready-made recipe that meets these criteria can present a number of different challenges for food manufacturers. For starters, many of today’s ready-made recipes are high in fat, calories, and sodium, while also incorporating artificial flavors, preservatives, or additives. One reason behind these unhealthy inclusions is that fresh, natural ingredients often have shorter shelf-lives, making them less viable to use in ready-made recipes. In addition, many foods formulated with fresh ingredients do not go through the freeze-thaw process well, which can drastically change the texture and mouthfeel of the product. Food manufacturers can overcome these challenges and create ready-made foods that are both convenient and healthy by using natural, functional whey protein ingredients to help reduce fat, clean up labels, and even enhance the taste and texture of their recipes. For example, Grande Bravo® functional whey protein can be used as a replacement for high-fat, high-calorie dairy products like cream, butter, and cheese, and provides consumers with the healthier, natural ingredients they’re looking for, without the short shelf life. Grande Bravo can match the flavor and texture of your recipes while giving your soups, sauces and fillings the ability to survive multiple freeze-thaw cycles, which helps to ensure that your food will taste just as great as your original formulation. These capabilities are ideal for soups, sauces, dips, dressings, and even frozen desserts, where the consumer may want to save the leftovers for later. Consumers are actively looking for more healthy ready-made food options, and using natural, functional whey proteins can help you meet those demands while also extending shelf-life, reducing high fat and artificial ingredients, and improving texture and mouthfeel. To learn more about the benefits of using functional whey protein ingredients in your recipes, be sure to download our free Grande Bravo® Frozen Pasta Case Study below.